Since the book is written, nearly-done-done, and ready for layout, I want to provide a bit of info about what's in it -- because keeping it to myself and my gaming group is killing me. I present a couple of the character archetypes that are available in Baroque Space Opera. There are 22 archetypes to base your character on, and you have the option to make up your own thing -- of course. 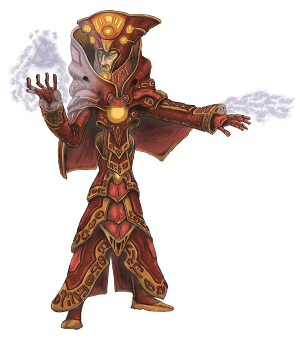 The Genesis Adepts are the progenitors of the bio-sciences of the Dominion. 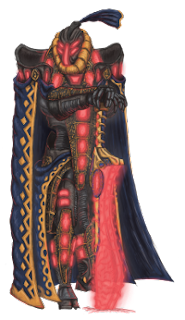 They were tasked by the first incarnation of the Tyrant, Aristonymus, to breed a caste of humans who are superior in intellect and morality, to rule over humanity shortly after the Tyrantine Dominion was founded. Since then, the Adepts have mastered the mysteries of life, including the secrets of biological immortality. The Genesis Adepts are able to resurrect those who died through cloning. These Revenants lack the memories of their former lives, but they do retain the skills they once possessed. Through this resurrection, five incarnation of the Tyrant have been raised from the dead. 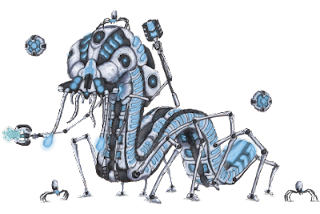 The Genesis Adepts have produced many genetic products that are in wide use throughout the Dominion. Mirror Men are androgynous clones from the original specimen perfected by the Genesis Adepts. They are based on Hroon (an alien race) genetics and are partially human and fungus. The Mirror Men are all shapeshifters, but they all possess the exact same appearance. Each is driven by the need for individuality and they resent the fact that they are treated as inferiors and products. To espouse their individuality, when in their natural form, each wears a Trasmuter-made mask with a unique and groteque visage. Mirror Men are purchased by powerful Deipotents to act as entertainers, artists, stand-ins, and even assassins. Remnants were created scores of millennia ago by the traitorous Artilects -- artificial intelligences created by the Theors who rebelled against the Tyrant and humanity. They are the original Dominars -- the shock troops of the Dominion. They were hunted down after the Artilect Rebellion by their genetically altered successors. Remnants are more machine than man, and the fear of their subversion by the Artilects continues, even after untold millennia. Some have survived the purges in stasis and now operate with in the Dominion. Many become Remnant Reavers who murder and pillage for spare parts to keep their failing bodies functioning. 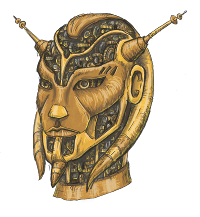 Simulacra are the creations of the Transmuters; These atomic-scale clockwork intelligences are constructed over centuries by a Master Transmuter. Each is a work of art and patience. They are mechanical analogue processing engines given a semblance of life -- and each is utterly unique. 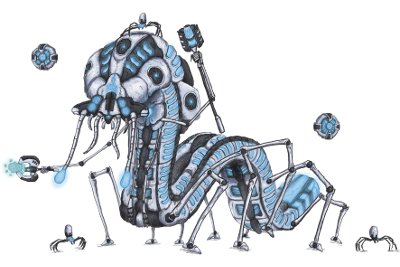 The Transmuters are a sect of Theors dedicated to the perfection of the Dust: nano-scale machines capable of incredible and fantastic feats. The Transmuters are the most secretive of the Theor sects, and they alone keep the secrets of Dust. The Transmuters have been instrumental in the development of key technologies within the Dominion. Transmuter sciences are shrouded in tradition, ceremony, and ritual. It is said that through the Dust a Transmuter is able to change the very nature of matter. The Tech are a fallen civilization that once sided with the rebellious Artilects. Their culture spans over 300 millennia before the founding of the Dominion, but their days are numbered. 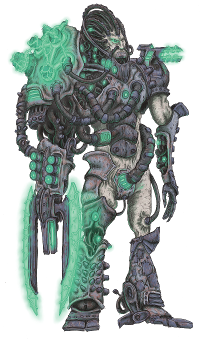 The Techo Scourge unleashed by the Transmuters on the Artilects and their allies brought an end to the Tect empire. The Tect still hold much knowledge that is beyond Dominion sciences. The hereditary order of Battlemasters are one of the few human societies that have retained their independence since the rise of the Tyrant. They are master tacticians and warriors without peer. The Battlemasters once saved the Dominion from the Nihilim invaders, but now they are fallen; their order reduced to a fraction of their former glory by the wrath of Typhon, the current Tyrant, for his murder. The Battlematers are still revered as masters of warfare and many travel far and wide seeking to make a name for themselves among the Dominated Planets. Many seek the weapons hidden during Typhon's Pogrom in hopes of restoring their order to its former glory. You may be interested in also checking out the previous posts about Baroque Space Opera, which provide additional information and art.